Our Team | Globin Solutions, Inc.
Dr. Rose obtained his B.S.E. in Biomedical Engineering at the University of Michigan in 2006 and his M.D. from Wayne State University School of Medicine in 2010. He went on to Duke University Medical Center in North Carolina for his Internal Medicine Residency and the University of Pittsburgh for Pulmonary & Critical Care Medicine Fellowship. He obtained his MBA from Carnegie Mellon University’s Tepper School of Business in 2017 in a novel Biomedical Entrepreneurship Track. He is currently an Assistant Professor of Medicine at the University of Pittsburgh. He is part of the scientific team that developed Globin Solution’s lead compound, recombinant neuroglobin. His academic research work focuses on understanding the molecular mechanisms of CO poisoning and the effects of carbon monoxide poisoning on patients. He continues to serve as an attending physician in the intensive care unit. Dr Rose cofounded Globin Solutions, Inc., along with Drs. Gladwin and Tejero in 2017. Dr Tejero received his B.Sc. degree in Organic Chemistry in 1998 and his PhD in Biochemistry in 2004 from the University of Saragossa (Spain). In 2005 he joined Dr. Dennis Stuehr lab in the Cleveland Clinic for postdoctoral studies on Nitric Oxide Synthase structure and function. 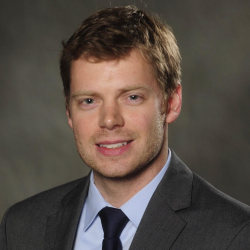 He moved to the Vascular Medicine Institute of the University of Pittsburgh in 2009 as a Research Associate to work with Dr. Mark Gladwin on heme proteins and nitrite metabolism. Since 2015, he is an Assistant Professor in the Department of Medicine of the University of Pittsburgh. His research is focused on the biology of heme proteins. His main research goals include: i) to understand the chemistry and biology of the reactions of nitrite with mammalian heme proteins; ii) to determine the cytoprotective mechanisms of the novel six-coordinate globins neuroglobin and cytoglobin, and iii) the development of heme-based antidotes for carbon monoxide poisoning. Dr Tejero cofounded Globin Solutions, Inc., along with Drs. Gladwin and Rose in 2017. Mr Wang received his MBA from Carnegie Mellon University’s Tepper School of Business, and both a bachelor’s of science in Engineering Physics and master’s of public policy from Tsinghua University. Throughout his career, Mr. Wang has led efforts for business development, quality control, new products, financial management, and business analytics in the life science industry. 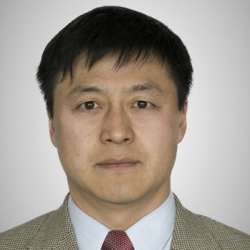 Mr Wang also currently serves as the chief financial officer of Innovatus Imaging, and was head of business analytics at Bayer Medical Care Multi Vendor Service. Dr Gladwin received his M.D. from the University of Miami Honors Program in Medical Education in 1991. After completing his internship and chief residency at the Oregon Health Sciences University in Portland, Ore., he joined the NIH in 1995 as a critical care fellow in the Clinical Center. 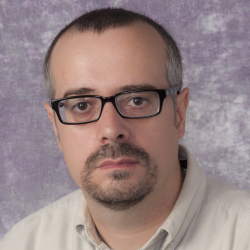 After completion of a clinical fellowship in pulmonary medicine at the University of Washington in Seattle, he returned for a research fellowship at the Critical Care Medicine Department, CC, under the mentorship of James Shelhamer, Frederick Ognibene, Alan Schechter, and Richard Cannon. He later served as the Chief of the Pulmonary and Vascular Medicine Branch within the NHLBI, NIH. 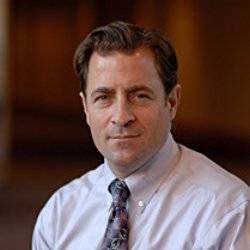 He joined the University of Pittsburgh in 2008 and now serves as the Chair of the Department of Medicine since 2015 and the director of the Pittsburgh Heart, Lung, Blood, and Vascular Medicine Institute. Dr. Gladwin’s clinical research and expertise focuses on pulmonary hypertension and pulmonary complications of sickle cell disease. He served as PI on the multi-center clinical trials Walk-PHASST (Pulmonary Hypertension and Sickle Sildenafil Therapy Trial) and DeNOVO (Delivery of NO for Vaso-Occlusive pain crisis in sickle cell disease). He has served as a principal or associate investigator on more than 25 human subjects protocols and holds seven FDA INDs for the use of investigational therapeutic medications, including nitrite, carbon monoxide, L-NMMA, and sildenafil. He continues to serve as an attending physician in the intensive care unit. Dr Gladwin cofounded Globin Solutions, Inc., along with Drs. Rose and Tejero in 2017. Ms Cunicelli is currently Executive Vice President of UPMC Enterprises. Ms. Cunicelli has more than two decades of investment and advising experience in the life sciences industry. Ms. Cunicelli received an MBA in Finance from the University of San Francisco and holds a B.S. degree in Cognitive Psychology from Carnegie Mellon University. Ms. Cunicelli was a Managing Director and Investment Partner at Bay City Capital LLC. 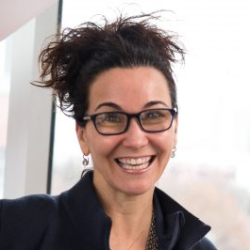 Ms. Cunicelli led Bay City Capital’s strategic advisory business since 1998, providing services to such clients as Rhone Poulenc Crop Science Division, Mallinckrodt, Monsanto and Ralston Purina. Ms. Cunicelli served on the Board of Directors of Calypso Medical Technologies, Inspired Technologies, Inc., LifeSpring Nutrition and PTC Therapeutics. Ms. Cunicelli is a Member of the Board of Trustees of Carnegie Mellon University and the University of San Francisco.